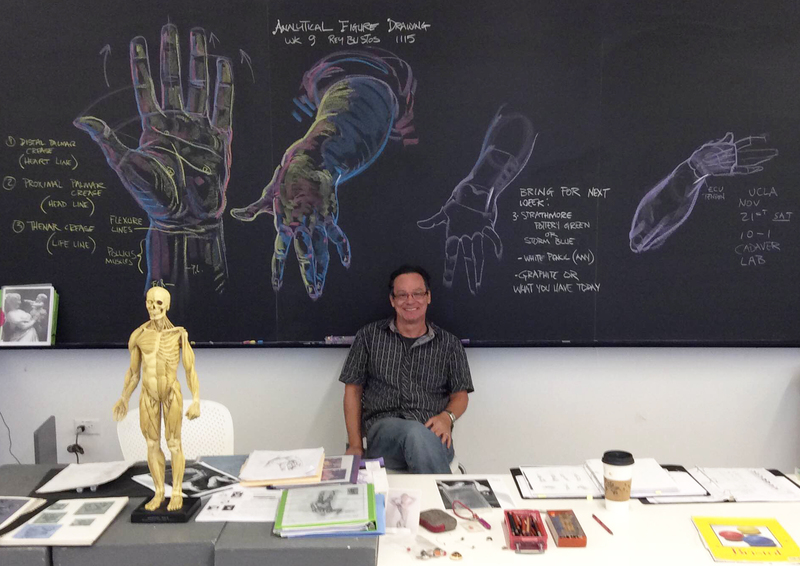 Rey Bustos is a teacher, painter, and anatomy expert. 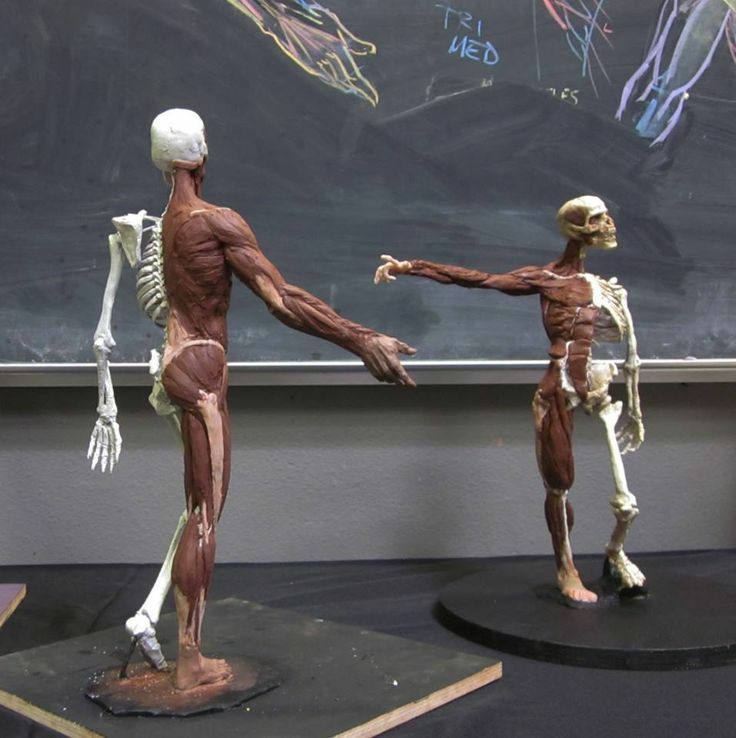 In this class, students will construct their own écroché as an in-depth and hands-on 3D study of human anatomy. 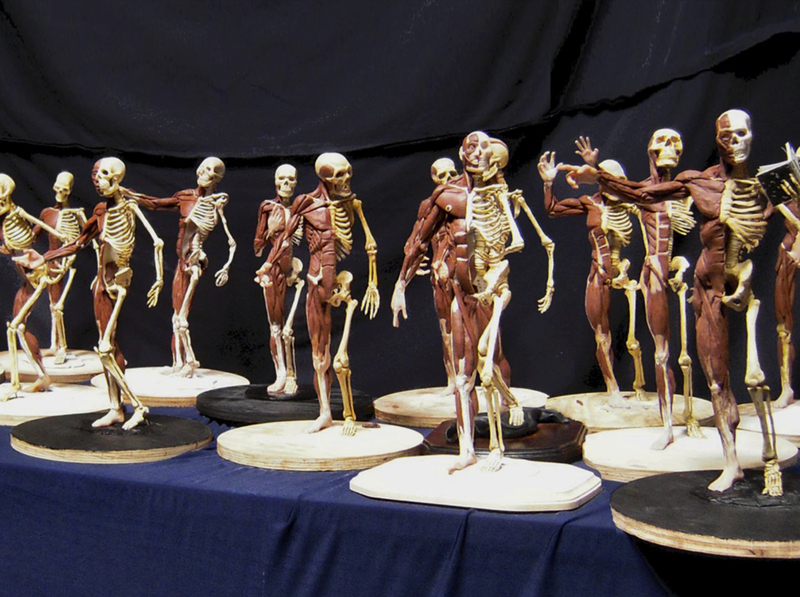 These models are constructed in ¼ scale from clay and wire armature, and are perfect for any student of medical science or figure drawing. 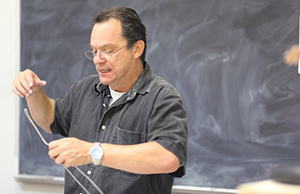 All students will receive online access to the recording of the lecture portion for 6 months. This is helpful to reinforce the principles of each week, and to catch any concepts you may have missed the first time around. • 1/8″ armature wire, at least ten feet. Any good art store carries this. • Wooden board, plywood works great. 10-12″ square, or thereabouts or if you can find a 12″ round board from OSH that’s the best. • Misc. clay tools. Get a few, I will also show you what I have and like to use. • Small jar of Vaseline, or Vaseline Lip Therapy. 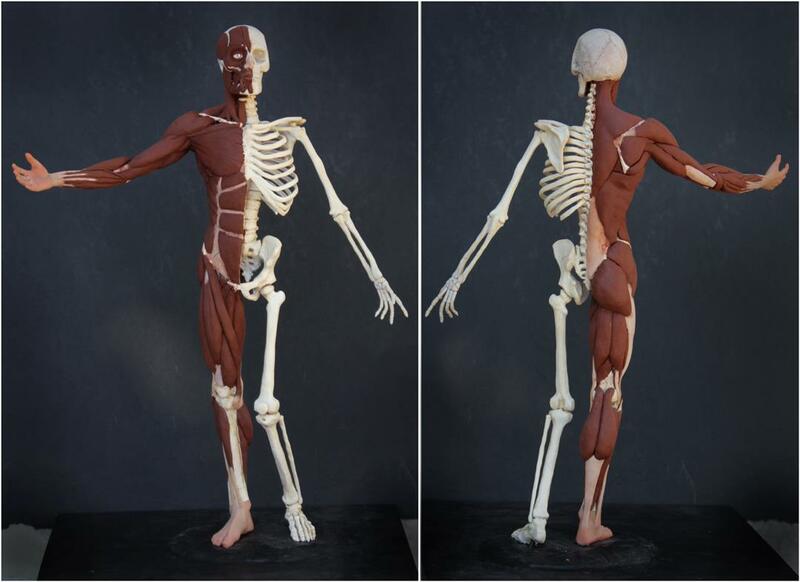 • By the sixth week you will need to have the book, “Human Anatomy for Artists: The Elements of Form” by Eliot Goldfinger. Look for this online. You can find it around $40. Used is fine. You should always bring a camera. 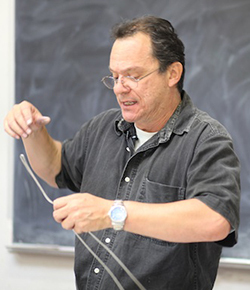 Rey Bustos graduated as an illustrator with high honors from the Art Center College of Design in 1989 and was elected by the student body to be the student speaker at their graduation. Rey then went on to illustrate for many companies and magazines as well as having numerous fine art exhibits since 1990. He is currently represented by the San Marino Gallery in Pasadena. 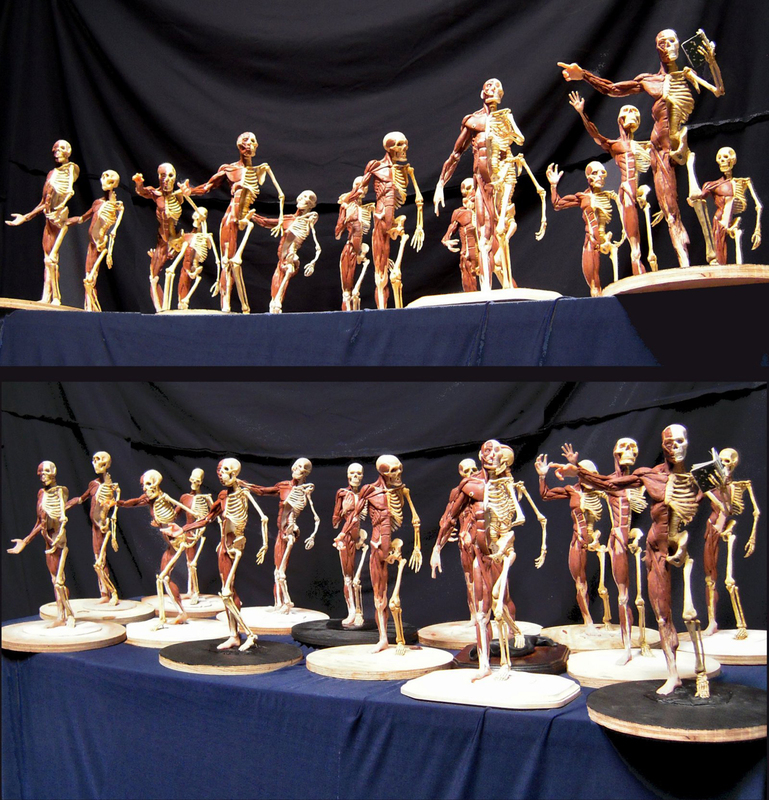 Rey Bustos has also been teaching since 1990 and is now considered one of the preeminent artistic anatomy teachers in the country. 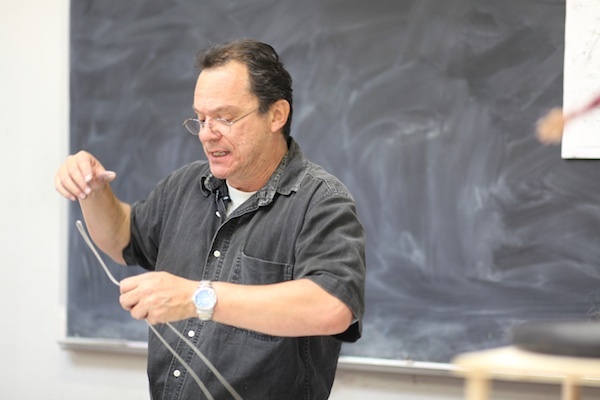 He is known for his lively and passionate lectures and his enthusiasm is very evident and contagious. 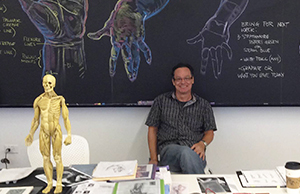 Rey currently teaches at his Art Center College of Design, California State University, Los Angeles Academy of Figurative Art and he is also on the teaching staff at Disney Feature Animation. Rey also currently teaches video content at the online art school, New Masters Academy. Sales are non-refundable but in some cases we can switch a student’s enrollment in a class that has not yet started to another class of equal or lesser value. New Masters Academy reserves the right to cancel, limit enrollment, substitute instructors or models, reschedule or modify a class with notice to enrolled students. If a class is canceled enrolled students will be given a refund. If an instructor is unable to finish a class term a refund will be given to students at a pro-rated amount. A.This 10 week class is online. Students will get online access to the recordings for 6 months. 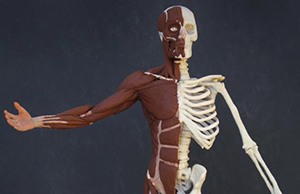 Q.Do I need to know how to sculpt to take this class? A.No! 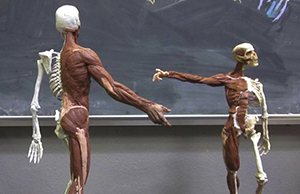 We use 3D materials to learn anatomy but this class is not intended just for sculptors. This class is for all levels, from the total beginner to the working professional artist. A.Yes! You will be provided with high-resolution reference images to work from.